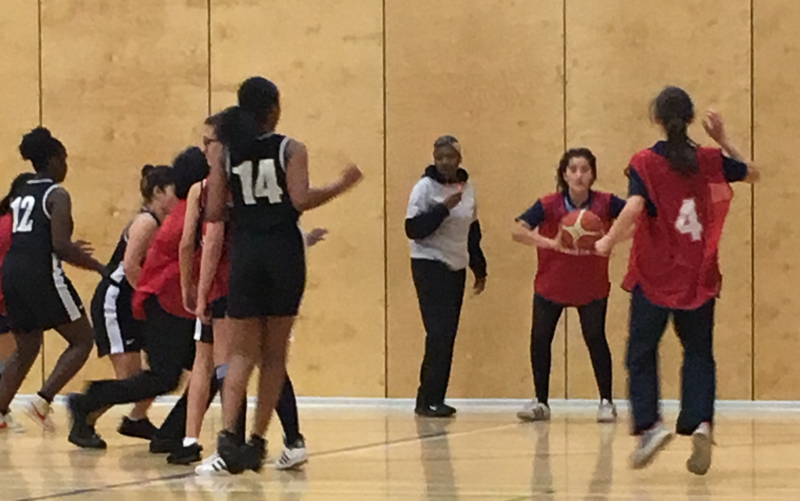 The U16 Basketball teams headed to Holland Park to play in the annual borough basketball tournament last week. The ladies started the tournament with just one game, due to limited entries from Holland Park. They had a cautious start, but after Suad (10 Balon) stormed down the court to bag KAA their first 2 points with a convincing lay up, the teams’ confidence increased. By half time it was a close 4-2, to Holland Park. The team continued to play with determination, and put up a great defence. Unfortunately it wasn’t quite enough, and the lack of practice this season led to a 14-8 loss. The player of the match was Vitara (10 Jobs) for working tirelessly throughout the game. The boys then took to the court and had a very solid 18-3 win vs The Moat School. This match served as a good warm up for the boys, preparing them for what would be a tougher game against Chelsea Academy. After a slow start they went into the second half 8-2 down. Fantastic pace through the court from Zaid (10 Simmons) and Haytam (10 Dyson), alongside Ali’s (10 Dyson) rebounds saw the boys narrow the gap. Unfortunately it was a little too late and the end score was 20-14. The player of the match was Haytam (10 Dyson), who had two fantastic games.